The bernette 35 is a mechanical sewing machine with no computerised controls. The width, length and pattern of the stitch is easily set by turning the three knobs. The tension can be adjusted during sewing, using an easily accessible wheel. 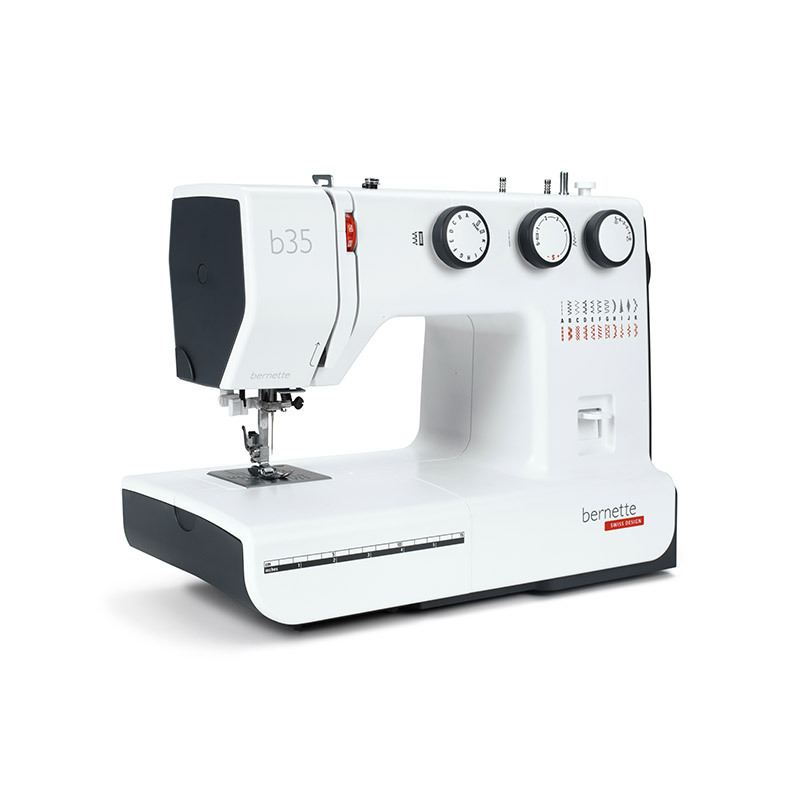 The bernette 35 also has an automatic, 1-step buttonhole function, which is quick and easy to use. With a total of 23 stitches, including both utility and decorative stitches, you can bring your creative ideas to fruition quickly, easily and with excellent stitch quality. Experience the Bernette 340 Deco today!